In the current study, Raphael and his colleagues presented an algorithm that can track cancer metastasis by integrating DNA sequence data with information on where cells are located in the body. They call it MACHINA, which stands for metastatic and clonal history integrative analysis. The new technique yields a clearer picture of cancer migration histories than previous studies that relied on methods based on DNA sequences alone. Some of these studies inferred complex migration patterns that didn't reflect current knowledge of cancer biology. The Princeton team found that by simultaneously tracing cells' mutations and movements, MACHINA found that metastatic disease in some patients could result from fewer cellular migrations than previously thought. For example, in one breast cancer patient, a previously published analysis proposed that metastatic disease resulted from 14 separate migration events, while MACHINA suggested that a single secondary tumor in the lung seeded the remaining metastases through just five cell migrations. In addition to a breast cancer dataset, Dr. Raphael and his team applied their algorithm to analyze metastasis patterns from patients with melanoma, ovarian, and prostate cancers. Several additional features helped improve MACHINA's accuracy. 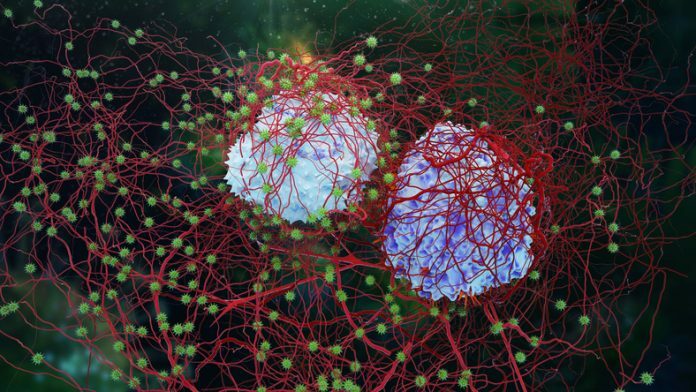 The algorithm includes a model for the comigration of genetically different cells, based on experimental evidence that tumor cells can travel in clusters to new sites in the body. Moreover, it also accounts for the uncertainty in DNA data that comes from sequencing mixtures of genetically distinct tumor cells and healthy cells. MACHINA's development paves the way for a broader examination of metastasis patterns in large cohorts of cancer patients, which could reveal key mutations that cause different types of cancer to spread. Additionally, Raphael plans to make the method more powerful by incorporating data from tumor DNA and tumor cells that circulate in the bloodstream, as well as epigenetic changes—reversible chemical modifications of DNA.